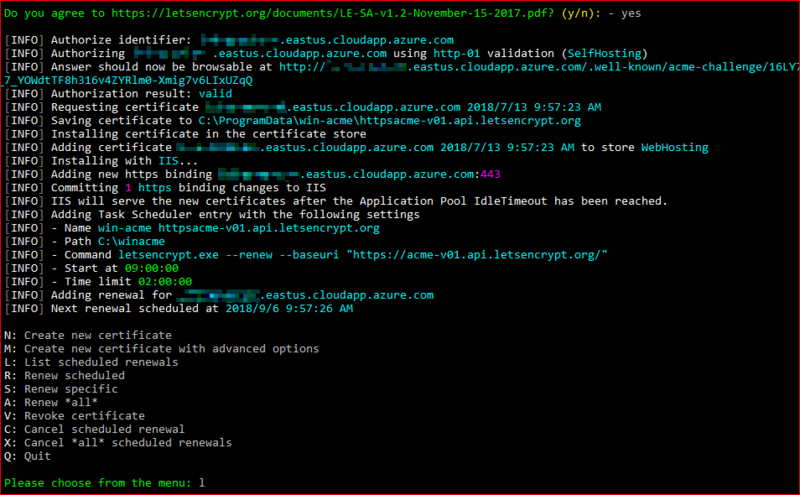 One of my colleagues mentioned using WinAcme to get/renew certificates with LetsEncrypt, so I thought I’d give it a go. How hard can it be? I set up a new Azure VM to try this on. I created a new public DNS name. 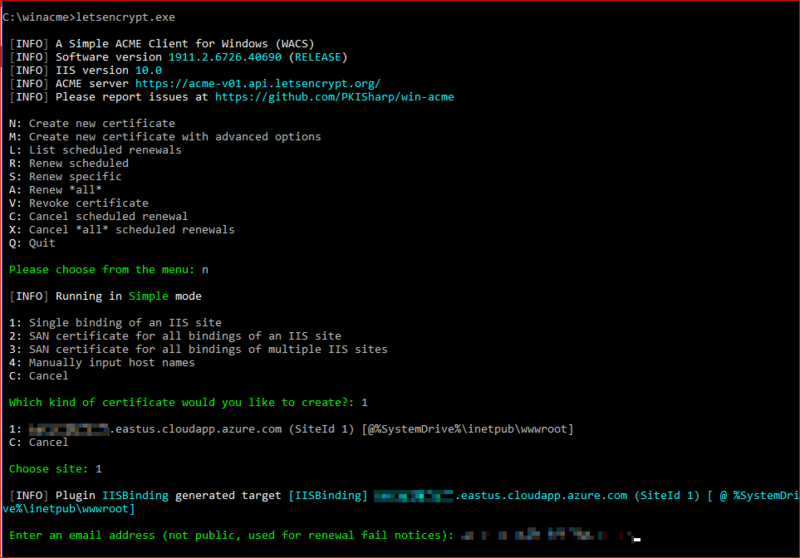 I also bound my IIS instance’s default site to that specific DNS name. 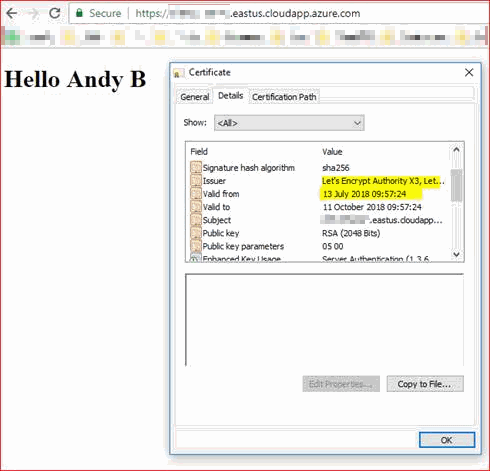 Created a file for LetsEncrypt to verify that we own the server. And it’s even set up a Scheduled Task to do renewals! Dealing with multiple load balanced CD servers. This could get more complicated – they’ll need to share the certificate. It’s not clear to me how this would work. This will only work with public site bindings. The LetsEncrypt service must be able to contact your website directly (to check ownership). If you’ve working on a non-public site, all bets are off. All in all, I was quite impressed.